Lord, I love You and I thank You for being You — the Great I AM. 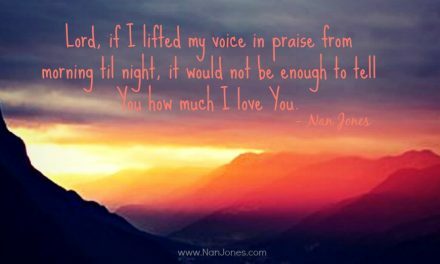 Whatever my need is, You fulfill it through the magnificence of Your love. You are my Provider. My Healer. My Comfort. My Peace. 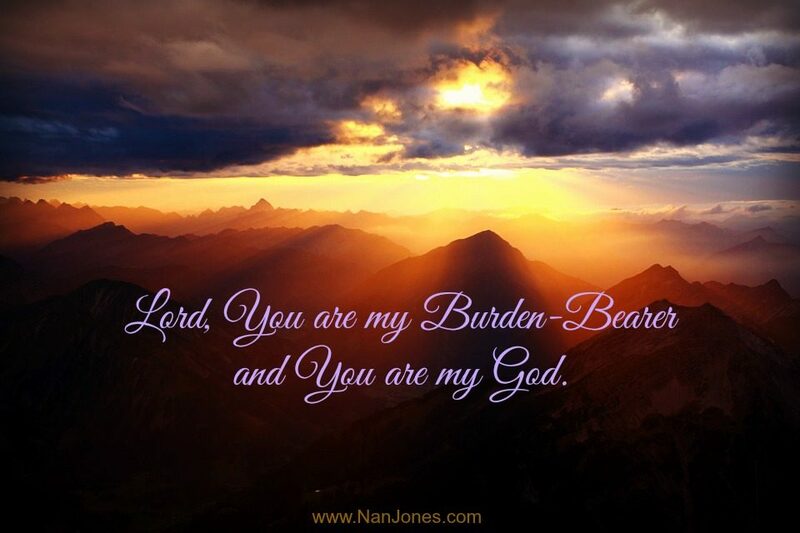 You are my Burden-Bearer and You are my God. Blessed be Your Name. I pray for those who are drowning in their sorrows, floundering under the weight of burdens You did not ask them to carry. I ask that You give them the courage to raise the burden from themselves and willingly hand it over to You. 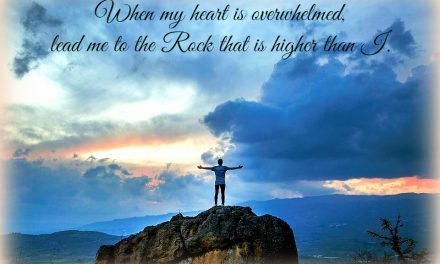 I ask that You give us all a visual of this powerful transaction and Your desire to carry the load, for Your yoke is easy and Your burden is light … when we ask for Your help, when we give it to You. Help us to always ask for Your help, Lord. Break through the chains that keep us bound. Expose the lies of the enemy that shroud us in despondency. Empower us by Your Spirit and the renewal of our minds. Thank You Father. Forgive us for when we take You for granted and put You on our “to-do” list, rather than love You with our whole heart and mind and spirit and strength, for we do love You Lord. You are the Mighty God, Maker of heaven and earth — our Burden-Bearer. Thank You for loving us so and for making a way for us to know You. Please don’t carry your burdens alone. I would be honored to pray for you. If you enjoyed this post and would like to receive encouragement for your faith-walk twice a week, please subscribe below! 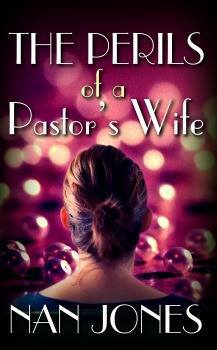 Every month I will have a drawing from the subscribers list and you will have a chance to win a signed copy of my book, The Perils of a Pastor's Wife. God has called me to help you find Him in your darkest hour. Through the written word and the spoken voice of my heart, I will share with you how to recognize God’s Presence with you always—through good and bad, through joy and sorrow, through peace and anguish. 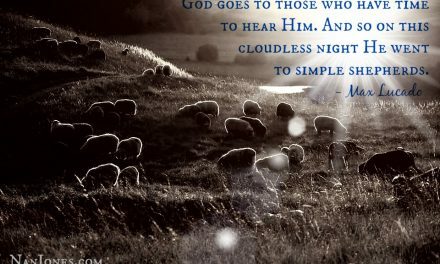 He promises to never forsake us, to never leave us. God’s Presence is not contingent on our attitude. I have learned that we are surrounded by His Presence every moment of every day—even when it feels as if we’ve been abandoned. Our God is faithful. Where is God When I Need His Faithfulness? 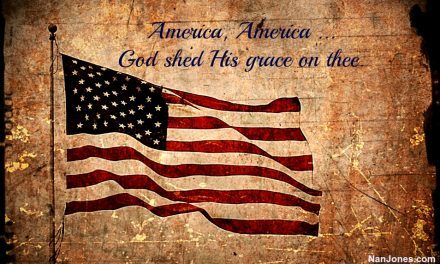 Where is God in the Confusion Facing America?